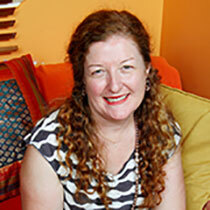 Debra studied and practised Psychology and Education in both the UK and Singapore before arriving in Brisbane in 2003. After teaching across many age ranges from preschool to university Debra returned to practice psychology in the community as a specialist Educational & Developmental Psychologist and Education Consultant in 2008 in the UK and 2009 in Brisbane, Ipswich and the Gold Coast. Since 2015 Debra’s practice was offered from Sydney providing outreach to rural NSW, ACT, and VIC. Debra’s passion is to empower and inspire the most vulnerable in our society assisting those who care for them and work with them to change their perceptions of them, understand, accept and support them through challenging issues in their lives so that they can aspire and work towards meaningful educational and social participation and achieve a sense of well-being. Debra’s services include counselling, educational, social, emotional, developmental, learning and behavioural assessment, report writing for both legal and educational contexts and intervention planning. Her work focuses on assisting people to develop more effective skills, build better relationships, and improve their well-being, and includes: self-management skills; communication skills; building resilience; and overcoming old habits or behaviours which affect well-being and performance. Debra has more than 30 years experience supporting children, adolescents, families and individual adults. Debra has worked in a range of contexts in addition to private practice including: residential settings for children in out of home care; schools as a classroom teacher (UK, Singapore and Logan); learning support teacher (UK and Singapore); head of special education services (Singapore); Guidance Officer (Education Queensland); Guidance Counsellor (Brisbane Catholic Education); and in the community as an Educational Psychologist (UK) and as an Education Consultant for a flexible learning network and specialist foster care agency (S.E. QLD and NSW). She was the Regional Student Wellbeing Coordinator for Sydney Catholic Schools for two years and now offers local, interstate and international support to school communities and community agencies with a particular interest in supporting the needs of Aboriginal and Torres Strait Islander Peoples. Debra teaches part time on the Bachelor of Education (Primary) – Aboriginal and Torres Strait Islander Education at Western Sydney University. Debra is a Supervisor endorsed by the Psychology Board of Australia and the Australian Psychological Society College of Educational & Developmental Psychologists (CEDP) and is available for supervision. She is a Non-Executive Director of Wellbeing Australia a national charity. Home Visits including the support of people with dementia and their carers. Supervision services for a range of professionals including those preferring expressive therapy modalities including sandplay therapy and symbol work. Interventions for children and young people with Autism. Interventions to support people across the life span with a diagnosis of Post traumatic Stress including Systemic, Trauma Informed Cognitive Behaviour Therapy and Interpersonal Therapy. Children and young people with Complex Trauma histories and Attachment Difficulties including use of Theraplay ® B.A.S.E. Babywatching ® and Video Interaction Guidance ® and culturally appropriate approaches to therapy. Debra is excited to begin both living and working in the Mountains and providing support to the community.